The deadline was pushed back on March 31 of this year when the U.S. Senate voted on legislation that included a one-year delay to ICD-10. This delay came as a relief to many medical practices that required additional time and resources to implement an effective ICD-10 plan by the mandatory transition date. 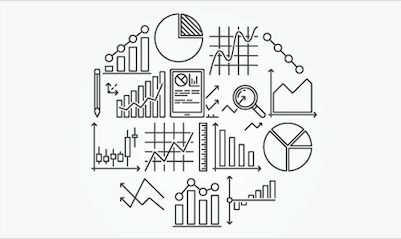 Even with the one year extension now formally in effect, medical practices are continuing to press on with their ICD-10 implementation strategies. With a good mobile charge capture system in place the ICD-10 transition is smoother and easier, making the countdown to the new disease classification system less daunting. The new ICD-10 code set, originally intended to be implemented in 2008, has now seen yet another delay to the October 2014 go-live date. Last week, the U.S. House of Representatives approved the “Doc Fix” legislation, which includes a one-year delay to ICD-10. 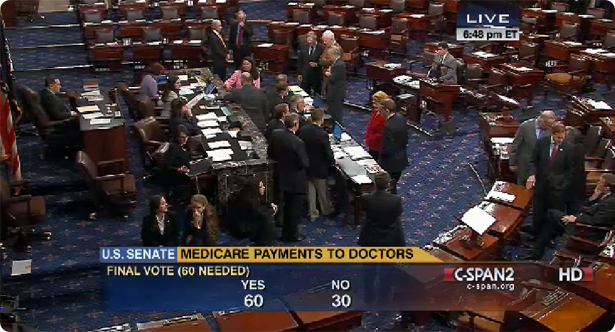 Tonight, the Senate confirmed that delay, adding another year onto the ICD-10 countdown. SEC. 212 DELAY IN THE TRANSITION FROM ICD-9 TO ICD-10 CODE SETS. The Secretary of Health and Human Services may not, prior to October 1, 2015, adopt ICD-10 code sets as the standard for code sets under section 1173(c) of the Social Security Act (42 U.S.C. 1320d-2(c)) and section 14 162.1002 of title 45, Code of Federal Regulations. This delay, so close to the October 2014 deadline, comes with mixed reviews from health care groups. There has already been a great amount of resources put into the training and funding of ICD-10 education and transition efforts. Well-prepared health care providers have already begun the process of learning the new level of specificity that will be expected of them for each patient visit, and medical coders have begun learning the complexities of these new codes so as to not interrupt reimbursement from payers. These groups who have already started the transition know how difficult it is and will continue to work diligently in the next year to be ready. Then there are the medical practices and vendors that simply would not have been ready come October 2014, for which this decision comes as a huge sigh of relief. Those who haven’t begun the transition should use this delay as a wake-up call to get started now and take full advantage of the one year gift they’ve just received. Still, this decision gives everyone more breathing room to develop an effective and seamless ICD-10 plan. Medical organizations have another year to work through the ICD-10 transition, and it’s a big undertaking that requires time from both health care providers and administrators. Having good software in place, such as a charge capture system, will help shrink the time needed to set aside for the transition, and will make the new October 2015 deadline less daunting. Transitioning to the new ICD-10 code set without a mobile charge capture strategy is like traversing a snowstorm without a shovel. You will get through it (eventually), but it won’t be easy. With the ICD-10 transition looming later this year, practices are scrambling to get a plan into place. Mobile charge capture can be an important part of that transition for doctors who see patients in hospitals and other locations outside of their office. When providers are in the clinic environment, there are practice management and medical billing services to keep them organized and efficient with charge entry. But when providers work outside of their office’s four walls to see patients, they often revert to disorganized and inefficient systems of paper, spreadsheets, phone calls, and text messages… napkins, even. Mobile charge capture replaces these systems with intuitive software. It extends the practice to the hospital and the hospital back to the practice, so providers can stay on top of everything in real-time and communicate efficiently from their smartphones and tablets. It might seem easier to ignore the snowstorm of ICD-10. But addressing your needs now by applying a good mobile charge capture strategy will make the transition smoother and easier.